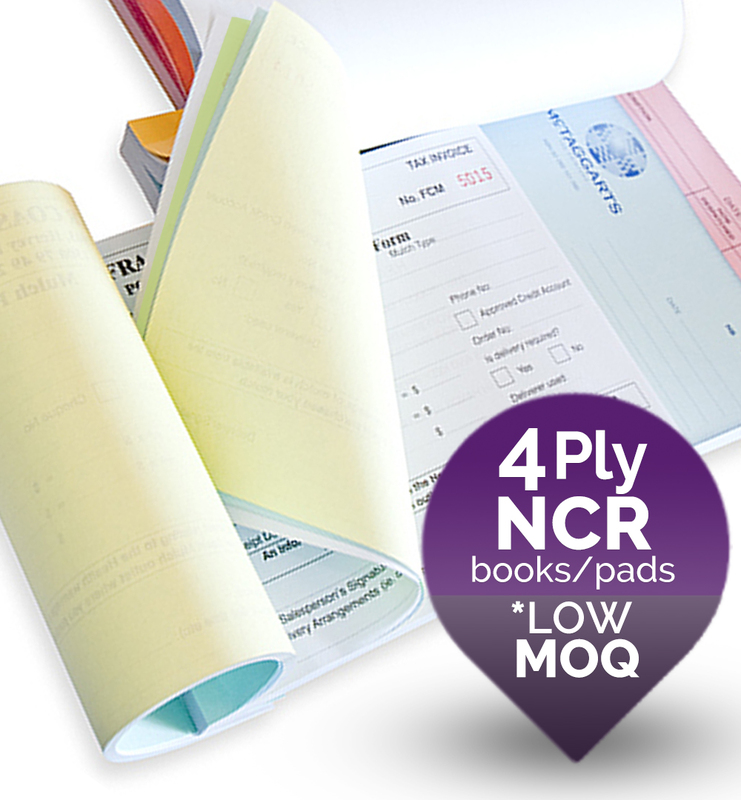 Carbonless forms can be used for variety of purposes like orders, invoice, quotation forms, receipts etc. 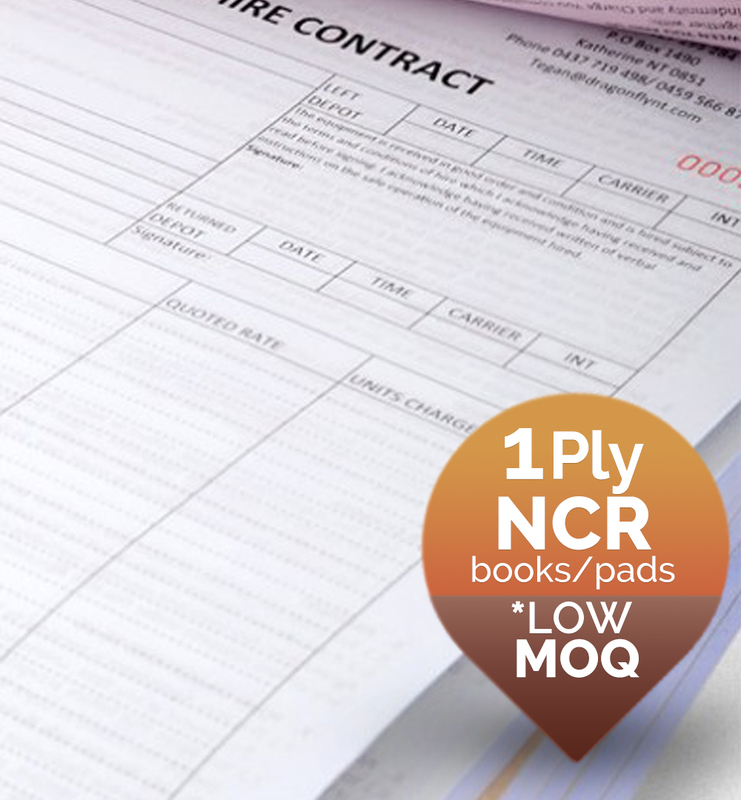 You can design your own carbonless forms of different paper size, number of plies and options with us. Create designs that meet your own requirements. Use your own layout and colors of your choice. 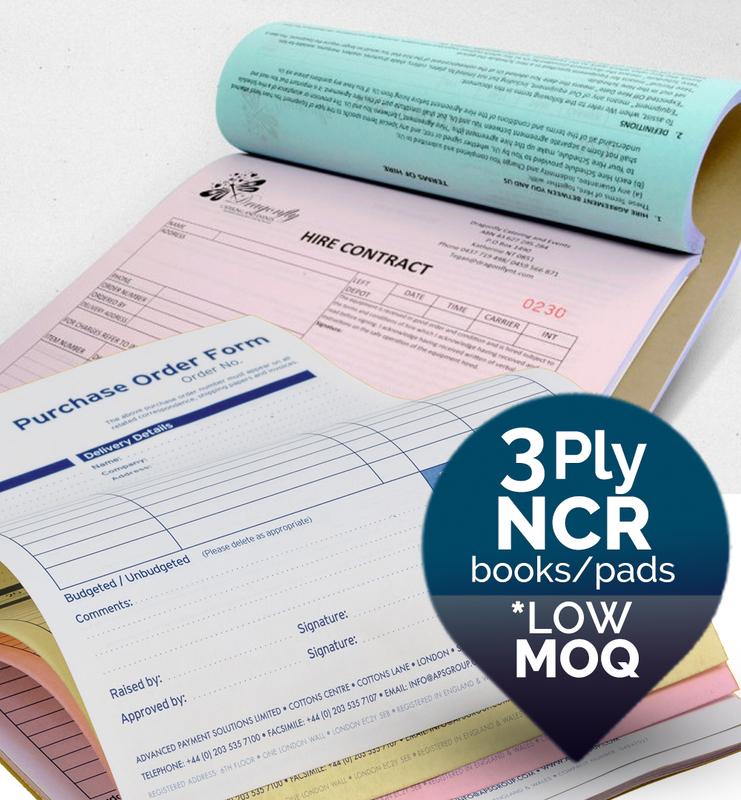 ▪ Prices start at $90 for 10 booklets/pads (1 ply NCR). ▪ Available in 2-ply, 3-ply and 4-ply. 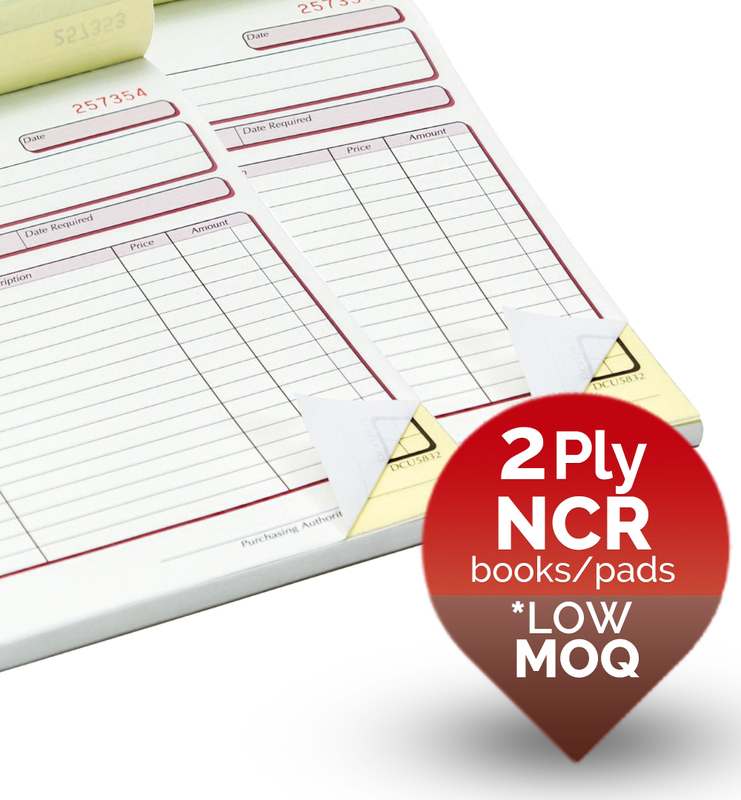 ▪ Option to include running serial numbers.